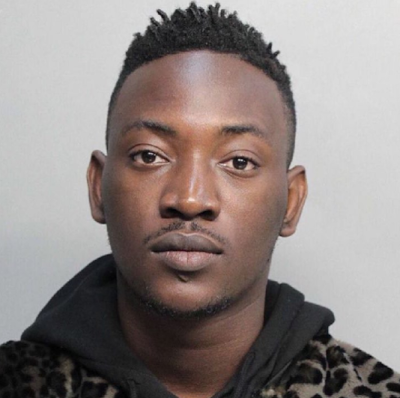 Nigerian singer Dammy Krane who was arrested for credit card fraud in the United States is now a free man. The Olowe crooner, arrested at his home in Florida two months ago for grand theft, credit card fraud and identity fraud walked away a free man after the judge in charge dismissed his case on Thursday. He was released after he pled not guilty to the charges and given a bail condition of $7, 500. According to the Miami-Dade County Criminal Justice Online System, the judge after hearing Krane's plea, discharged him and dismissed the case. His colleague Davido was first the hit social media with the news. He expressed his excitement in a message shared to Snapchat. 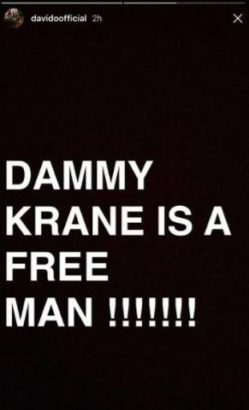 "Dammy Krane is a free man" he announced. 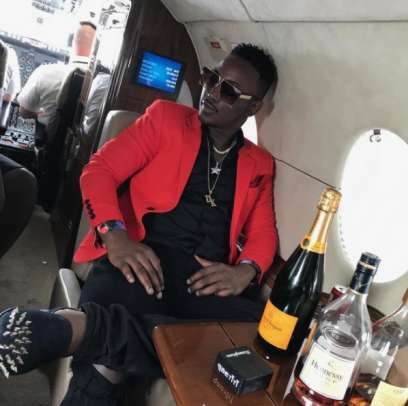 The singer who would usually show off his lavish lifestyle online was quick to be slammed by Nigerians after news of his arrest went viral. It is a good thing his name as been cleared.